Home Lifestyle Pets & Animals Want to Drastically Improve Your Life? 7 Reasons to Get a Dog Today! Want to Drastically Improve Your Life? 7 Reasons to Get a Dog Today! The TAILS program in Florida is using shelter dogs to better the lives of prison inmates. More than 500 rescue dogs have been given a second chance while paying it forward by helping teach incarcerated men life skills to prepare them for their own second chance in society. This is just one example of the many ways society uses our canine companions to better the lives of their humans. Dogs really are mans’ best friend. Our furry friends bring so much joy to our lives. Maybe you’ve never owned a dog or haven’t had one in some time. Even if you already have one or two, one can never have too many dogs. Keep reading for a list of 7 reasons to get a dog and drastically improve your life. Dogs are the most loyal creature you will ever meet. Their loyalty to humans is a result of a combination of their nature and their vast experience as a companion of the human race. Dogs are incredibly intelligent. Their ability to read your facial expressions and body language will continually surpass your expectations. Your furry friend will know when you had a bad day and will be first in line to help dry your tears. The bond between dogs are humans is not seen in any other animal species. The love of a dog is something everyone should experience in their lifetime. Your new dog will be just one of the many friends you will make as a dog owner. Dogs are pack animals and need socialization with other dogs. This gives you a chance to meet other dog owners and socialize while your dog plays. You may take your dog to training classes, daycare, groomers, and many other places where you will meet new people. Even just walking down the street will often result in meeting new people who want to pet your cute little friend. There is no doubt you’ve seen at least one dog video on Youtube or Facebook. Dog videos are just as funny as cat videos! As a dog owner, you will get to witness the hilarious antics of dogs in real life. Dogs are a constant source of entertainment. Whether they are pretending it wasn’t them who went through the trash can again or rolling around in pure bliss with a new toy, they are sure to make you smile. You will never be bored as a dog owner. Having a dog opens up a whole new world of activities involving your dog from going to the dog park or the pet store to going to dog shows and competitions. The options are nearly limitless. In addition to being fiercely loyal, dogs are great protectors of their homes and their humans. While the breed of your dog will determine how they prioritize personal protection, all dogs will defend their homes and humans from danger. Even less alert breeds will warn you of anything suspicious in or around your home. If you have a disability or a mental health disorder, you could get a service dog or an emotional support dog. Dogs can specialize in detecting medical conditions in humans from oncoming seizures to developing cancer. They can also be trained to bring medication and of course just looking at your adorable pup can help reduce stress. Your dog will put you first before himself and will do whatever it takes to protect you. Having a dog is a big responsibility and a big part of that responsibility is making sure your dog gets enough exercise. Different breeds of dogs have different energy levels and require different amounts of activity, but all dogs appreciate a daily walk. Taking your dog for a walk will not only benefit the dog, but you as well. Simply walking your dog around your neighborhood will have tremendous benefits for your physical and mental well being. If you are looking for more of a challenge for you and your pup, you can enroll your dog in agility or fly-ball competition. Shop now for leashes and collars to make sure your new friend is safe while exercising. 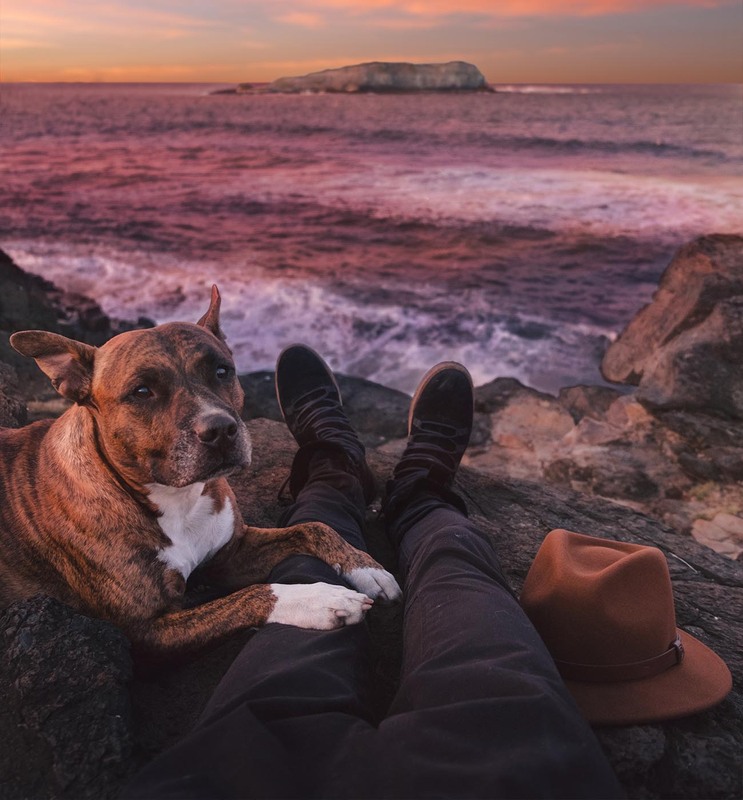 Studies have found that spending just 15-30 minutes with your dog can reduce stress, increase happiness, and make you feel more relaxed and calm. When you spend time with your pup, your brain levels of the neurotransmitters serotonin and dopamine increase. These chemicals increase happiness and reduce stress. Your dog experiences the same chemical reactions when he spends time with you, strengthening your bond. As discussed earlier, exercising with your dog will reduce stress by promoting the release of endorphins, which increase mood. Growing up with a dog creates some of the best childhood memories your child could hope to have. Dogs have even been shown to improve the self-esteem of children, making their lives less stressful. Children who grow up with dogs have fewer pet allergies and have a lower risk of developing eczema. Humans with dogs have a faster recovery time from injury and illness than those without furry friends. It has even been said that children with dogs have better school attendance because they spend less time sick than kids without dogs. Now that you have read some of the top reasons to get a dog, it’s time to take action. Check your local shelter or humane society or research reputable local breeders. Make sure you are prepared to handle the type of breed you get as not all dogs live the same lifestyle. No matter the breed you choose, your new best friend is sure to fill your life with health and happiness. Make sure to keep your dog healthy and happy with a pet-proof trash can. Check out this article on our blog for seven ways to get ready for a new dog.